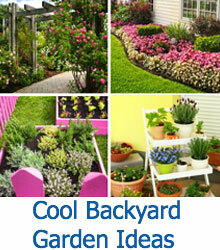 Thinking of creating a new landscape in your front yard? 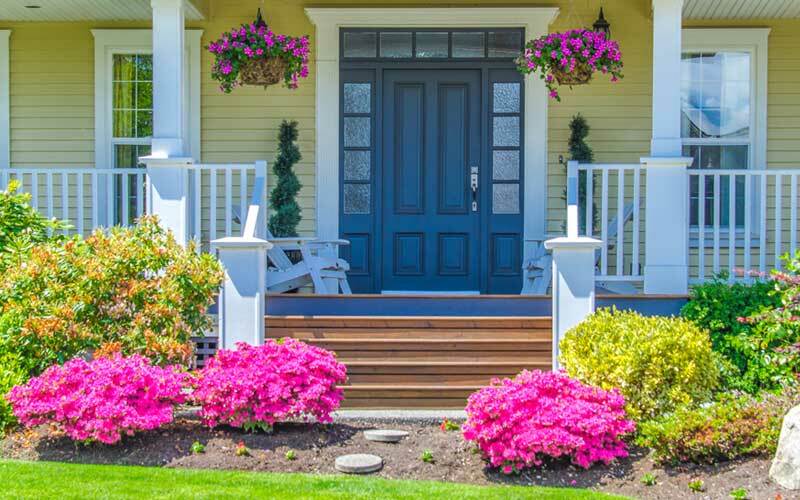 Check out our gallery featuring 15 unique ideas that will help improve your curb appeal. 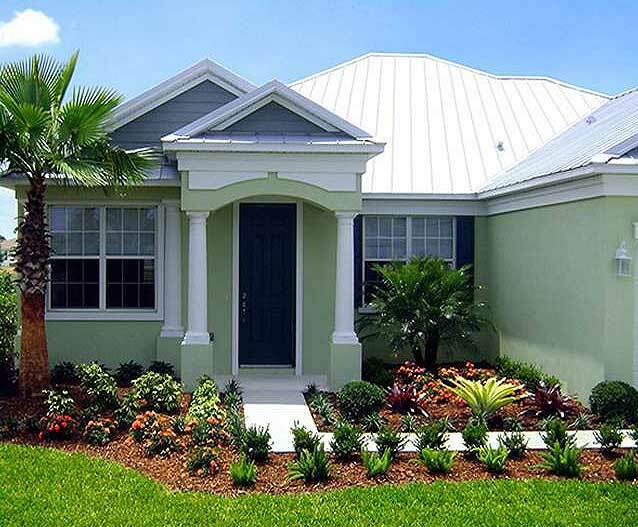 When you own a house, you want to have a beautiful landscape in front of your home that your neighbors will envy. 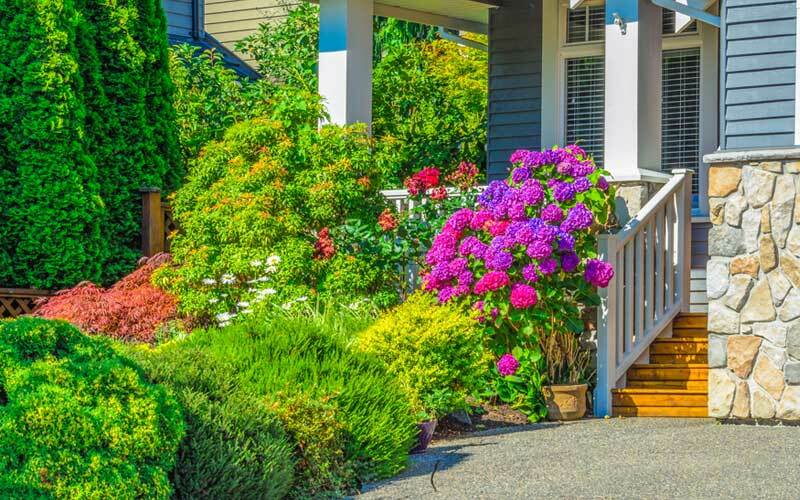 Having a drab front yard that is lacking grass and character will create an uninviting walkway for your visitors as well as lower the curb appeal of your home in general. 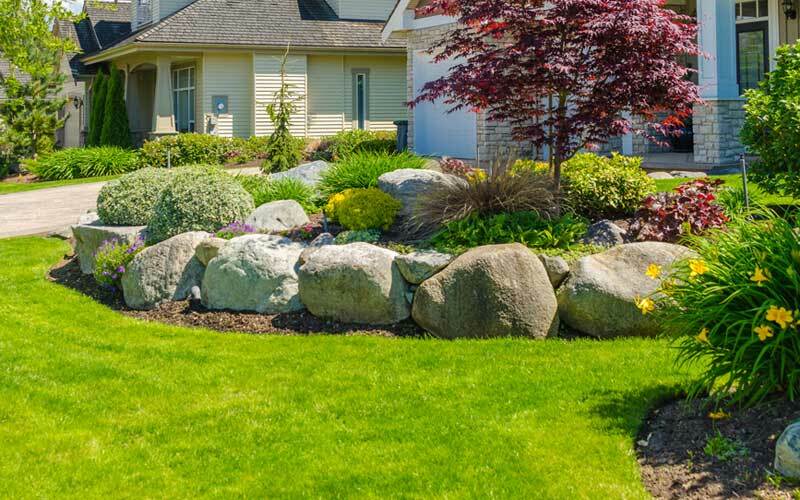 This article will help you determine how to create an amazing landscape in your front yard as well as introduce you to several landscaping Ideas for front yards in gallery form so that you can see some brilliant creations and mold your front yard to the style that you like the most. 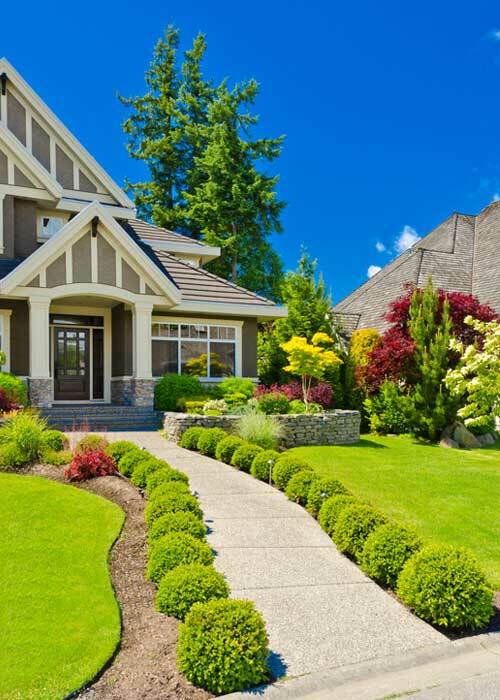 The first aspect of your front yard that you should consider is the path or walkway that leads up to your front door. This pathway can be created using stones, bricks, or concrete, but it is the base to your landscaping idea and one of the focal points of the yard so keep this in mind when adding unnecessary curves. A front yard that is steep can have a path that incorporates steps into the design to ensure that the walkway on a hill idea is not too steep for your guests. If you want more of a garden feel in your front yard, using mulch or tan bark to create a path is appropriate as well, though oftentimes these paths are accompanied by stepping stones to make sure that the ground is even. 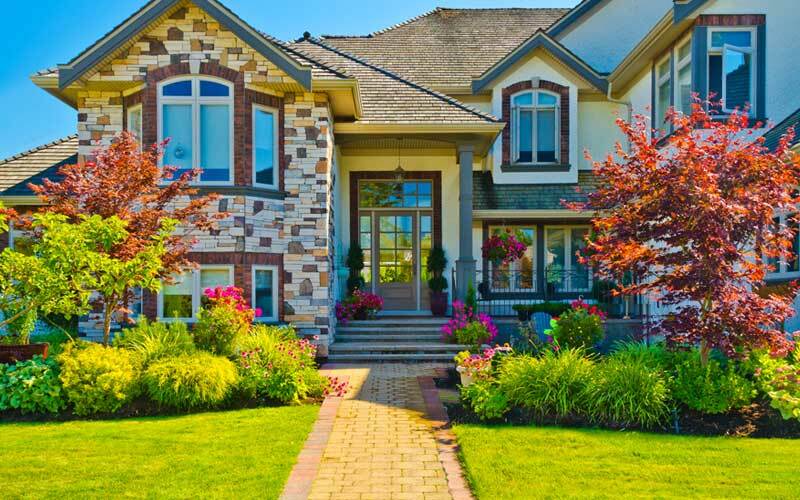 If the yard is large, you can give it a cozier feel by adding fountains or statues that match the walkway. 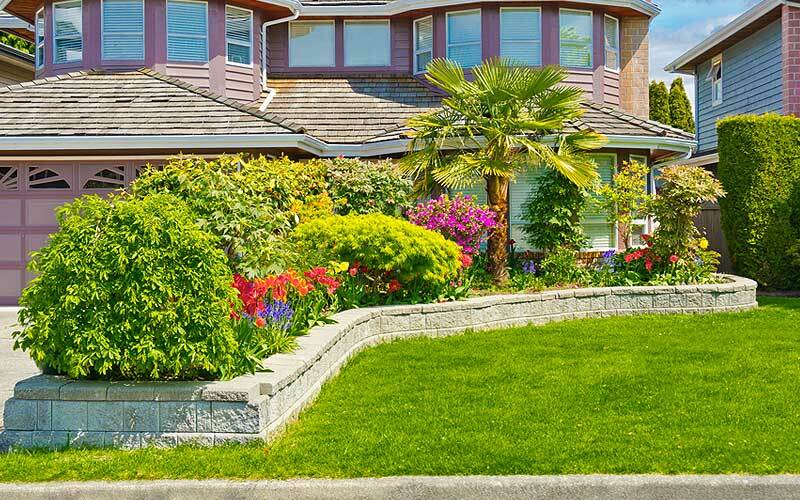 Be careful with the structures that you add to your front lawn because adding too many could create an unbalance that pulls the focus away from the rest of the yard. 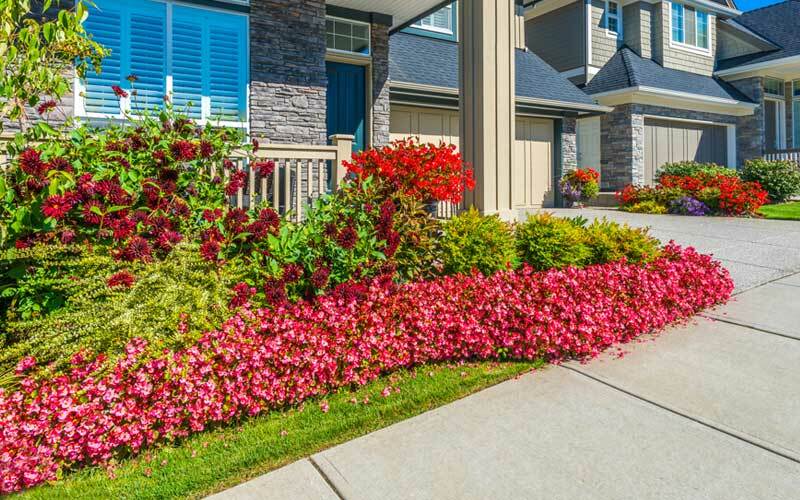 If you want a lot of structure to your front yard, then try creating raised areas where you can plant your flowers instead of going overboard with the lawn ornaments. 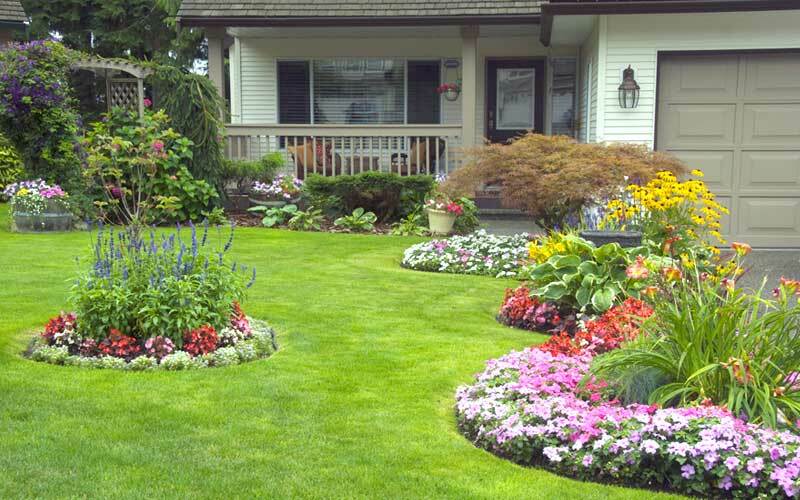 The next aspect of your front lawn landscaping that you need to consider is the lawn itself. Is the grass covering the lawn, or are there bare spots where the dirt shows through? 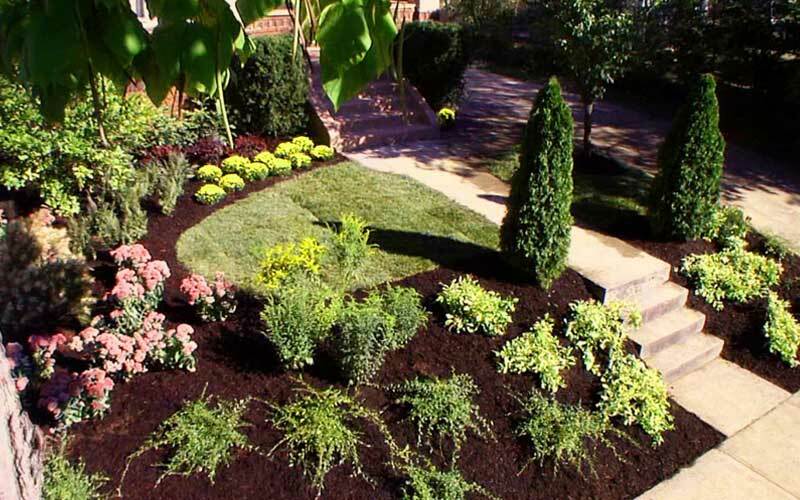 If your grass is not fully covering your front yard, you can either plant new grass seed or cover it with mulch and plant shrubs and flowers in that location. You can choose any flowers that you like for your garden, but make sure that every season is represented. You do not want to have a beautiful lawn in the spring of the year and a bare space in the fall. Trees are perfect for framing your house. 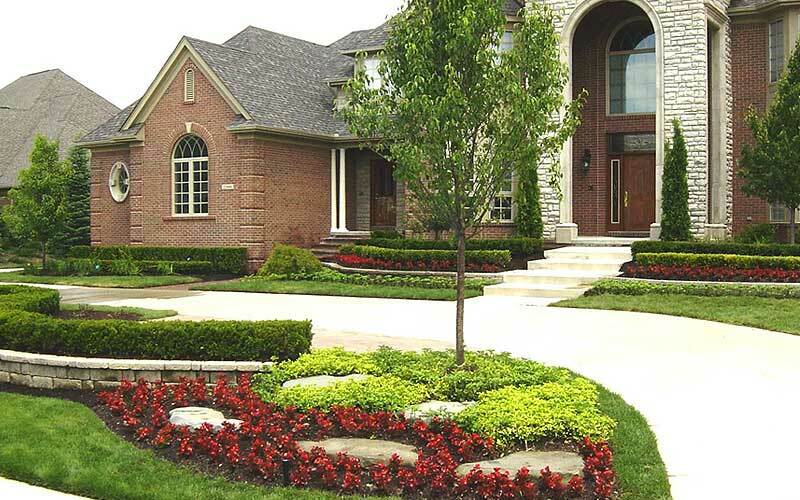 Small bushes can create perfect accents that add to the overall look of the yard. One way to utilize small bushes or plants is to create an edging design that incorporates the plants you love into a lovely edge to the pathway. This idea of a border will help create symmetry in your garden, but don’t forget that the plants and the edging in your front yard will need to be maintained. If you need some tools to prune you plants and keep them beautiful, then this garden tool set is perfect for your gardening needs. 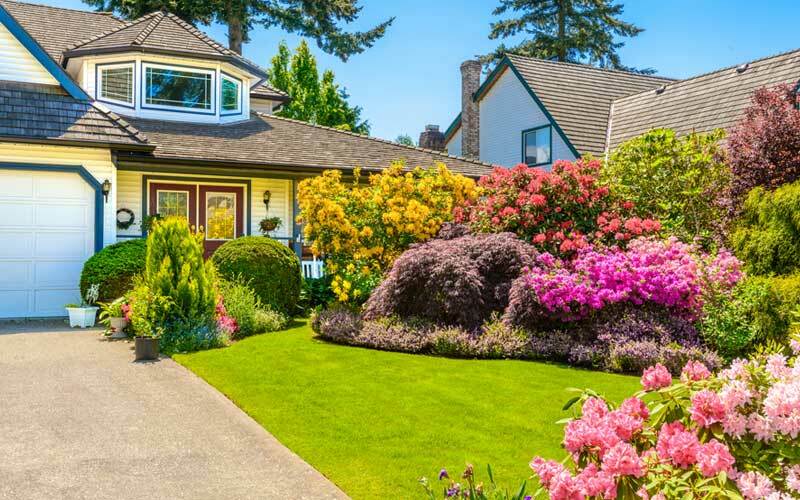 Let’s take a look at some landscaping ideas to get your creative energy flowing into your front yard. 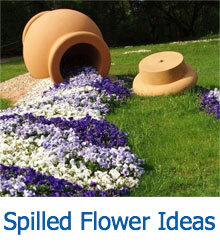 This idea is one that incorporates a lot of circular flower plots into the design. They are all lined with flower edgings, larger plants in the middle, and the grass is trimmed to perfection. This house has an angled roof that is accented by the perfectly straight walkway. Each side of the path is complete with bright pink flowers, accent bushes, and small trees. This idea is a simple one that brings stepping stones into play. Most of the shrubbery is green here, but the bright pink blooming plants add a lovely splash of color. 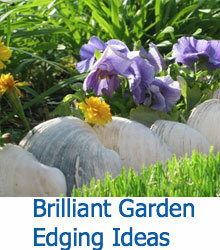 Edging is great for a front yard, and this idea utilizes edging that is made from small stones. The garden is located in a hilly area, and it is filled with red and purple accent bushes, shrubs, and rocks. This next idea features a garden of red roses and other flowers, but there is a fascinating row of pink posies nearing the edge of the sidewalk that adds a unique flavor to the curb. This idea is reminiscent of a tropical atmosphere. The house is a pastel color; there is a large palm tree on one side, a smaller one on the other side of the doorway, and several small plants lining the walkway. This idea has a cozy woodland feel. The farther from the driveway you get, the larger the plants and shrubbery becomes. It also provides a natural amount of privacy from your neighbors. The walkway of this idea is lined with small shrubs that lead straight to the front door. There are a few colorful plants on the side of the house, but the most eye-catching aspect is the two tall trees that are behind the house. If you like a lot of greenery, then this idea is perfect. It has a lot of small bushes that grow right up to the edge of the walk, and the plant next to the banister is filled with welcoming pink and purple blooms. The bushes are pruned perfectly in this idea, the grass is well-kept and there are small pine trees to welcome you into the entrance of the house. The way the hedges step up towards the door is charming. There is not much to this idea except for planting palm trees in the perfect locations. 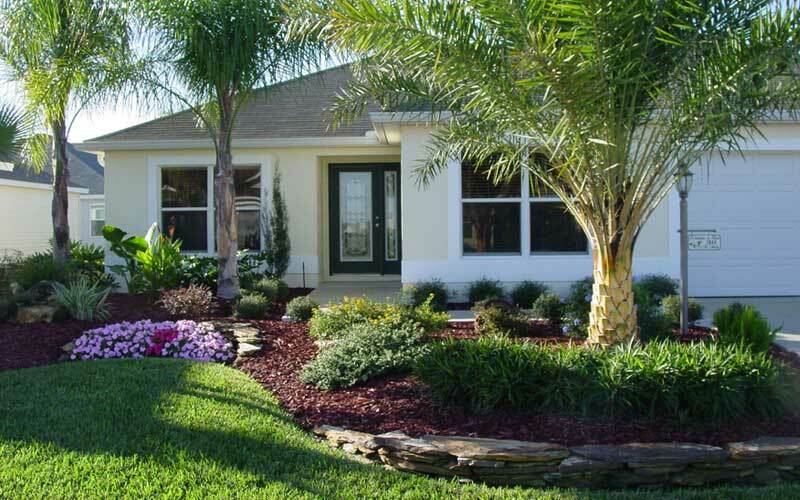 Once they are planted, surround them with mulch and small shrubs that accent your home. The next idea is perfect for separating your driveway from your front yard. A raised area with a lot of shrubs and accent plants will give you a vibrant garden that adds privacy to your home. Since this home is positioned on a hill, the landscaping idea is unique. The trees are pruned into perfect square shapes and are positioned on three raised stone walls. 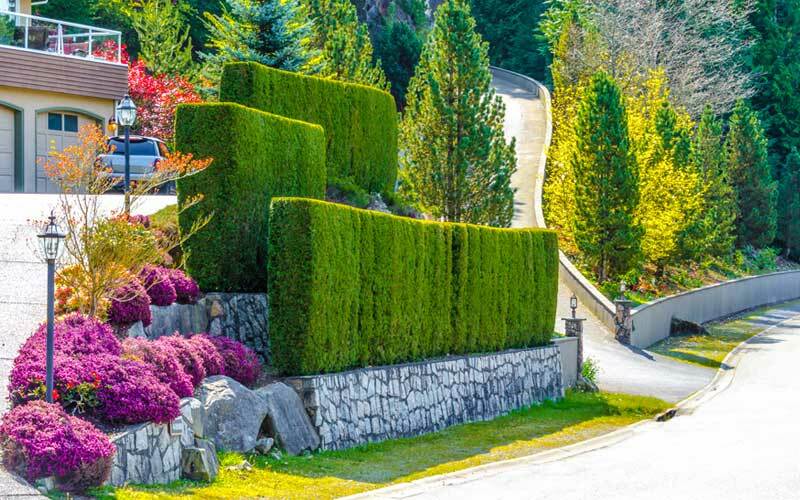 The steeper side features tall trees, while accent bushes invite you into the driveway. Hills create exquisite landscaping opportunities. The walkway has stairs at two locations on the way to the door, and the majority of the area is covered in mulch and green plants and bushes. 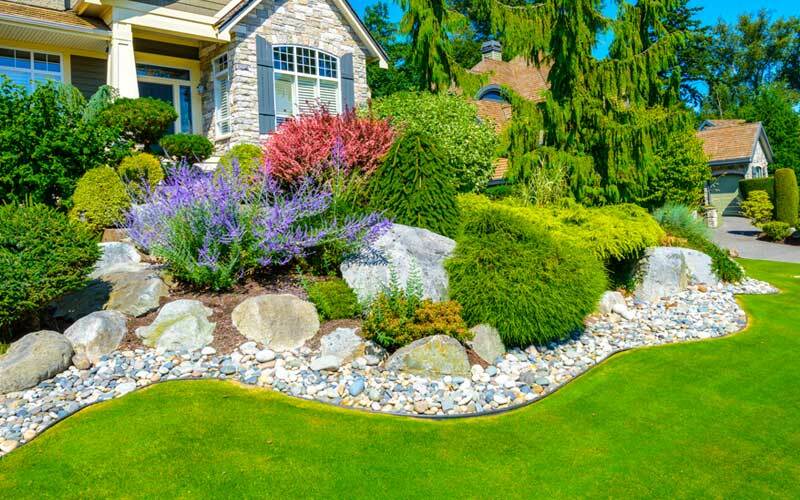 The patch of grass creates a horseshoe effect in the garden that looks amazing. This rock garden serves as a focal point in this front yard. It has a stunning tree in the middle of the garden that is accented with small plants and bushes that are beautifully trimmed.